I’m sure that if you’ve come across this Blog post that you too have been enjoying the fact that the BBC Sport website is currently littered with Premier League nostalgia. The lists and videos of the best managers, games, goals, saves and celebrations ever to grace the Premier League are a joy to watch and have of course been compiled into lists of contenders for several special awards in honour of 20 years of Premier League football. Each of the different categories have several different contributors and all of the players nominated for the awards are up for public vote via the Premier League’s official website. For me there is no questioning this one. Schmeichel is arguably the best keeper the world has seen in my lifetime and as such he is perhaps the easiest choice of all in this line-up. Many non-United fans will argue against this but I hold Gary Neville and his contributions to United and to England in just as higher regard as many Danish fans will with Peter Schmeichel. I can’t think of anyone who even runs Neville close for this position and that is quite something when you consider how famously unglamorous the role of full-back can be. Head and shoulders above the competition. Just when it seemed I was choosing this team with a United fan’s bias I have thrown-in Mr.Chelsea at centre-half. 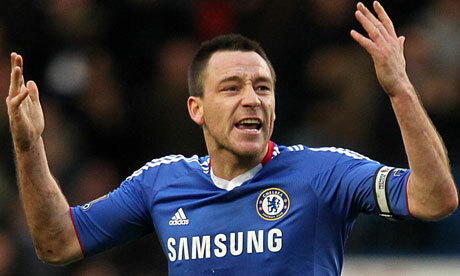 I thoroughly dislike Terry in all honesty but it is hard not to admire the way he plays the game. He is strong, fearless, consistent and actually a very decent ball playing defender who is very comfortable when advancing up the pitch and getting himself into attacking positions. It is important for all good Premier League teams to have a major threat from set-piece situations and JT has proven time and time again that he has a decent eye for goal, he might not quite rival someone like Steve Bruce in this department but he is certainly very able in front of the opposition’s goal. Tony Adams led Arsenal brilliantly from the back and will be remembered as one of the finest centre-backs ever to play for Arsenal and for England. In addition to his ever-reliable defensive abilities, he too was more than capable when he made any forays out of defence. Just as I said about Gary Neville on the other flank, I cannot think of anyone who really rivals Ashley Cole at Left Back. He has been arguably the outstanding player in his position throughout the vast majority of his career and though he deservedly received a lot of flack for his arrogant and totally ignorant comments in his last days at Arsenal, he was a key player in their ‘Invincibles’ side and has been equally as reliable and important to Chelsea’s success since his move to the Bridge. It would have been easy to go down the patriotic route here and pick David Beckham who is my absolute hero but when it comes down to it Ronaldo is quite simply a better player. Beckham’s contributions to United and to the Premier League may have lasted a little longer than Ronaldo’s before each of their move’s to Madrid but I would go as far as to say that Ronaldo is the best player ever to play in the Premier League and the really scary thought is that he has become an even better player at Real. Beckham has been an outrageously good footballer but Ronaldo is on another level. Scholes is probably the most cultured footballer ever to have played in the Premier League. His passing game has been practically unrivalled throughout his entire career and it is no surprise that the modern day pass-masters Xavi and Andres Iniesta of Spain and Barcelona have both spoken out about their admiration of Scholes as a player. Also, Sir Alex’s decision to re-sign Scholes in January is enormous testament to his talents and it seems that the Scot’s faith is going to be more than repaid as his return has inspired United to take the upper hand in this season’s title race. Even at 37 he is setting the standards for other Premier League playmakers. This was a really hard call given how magnificent Patrick Vieira, Roy Keane and Frank Lampard have been throughout the Premier League years but I have decided to pick Gerrard on the grounds that his individual contributions may have meant more to Liverpool than those of the aforementioned players to their club’s. All of them are as worthy as each other to gain a place in this line-up but I have had to go for one and live with the consequences. There is probably no better way to justify Giggs’ selection than to say that he has won twelve Premier League titles to date and could be about to win a thirteenth. At 38 he is still a regular feature in the League’s top side and I don’t think anyone could argue against him making my line-up. The front two of this side has probably been the hardest to pick so I have opted for a balancing act. I have gone for the two players out of the incredibly gifted group that were in contention that I think would have made the best strike-partnership. Thierry Henry is probably the most talented all-round striker the league has seen and the number of wonderful goals that he has scored for Arsenal whether they have been from long range, close range or from solo running efforts, I think, sets him apart from all the other contenders. I have been at a bit of a loss as to who to pick alongside Henry but perhaps my United bias has won out in the end. 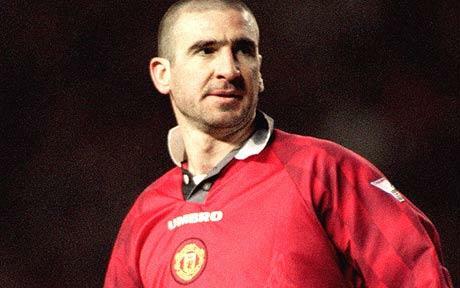 Cantona was magnificent for Manchester United and there have been few players in the Premier League that have possessed such an aura about them on the pitch. His maverick genius would compliment Henry’s more direct goal threat brilliantly and I think they would have scored even more goals than they did if they were at the same club as each other in the respective prime’s of their careers. Manager – Sir Alex Ferguson: His record speaks for itself. Brad Friedel: He may have been second choice at Liverpool for too long but when he moved on we realised just how good he is. Rio Ferdinand: Brilliant ball-playing centre-half who has been consistently brilliant for every club he has played for in the Premier League. Roy Keane: The most tenacious midfielder the League has ever seen and one of the most inspirational captains. Patrick Vieira: The ultimate box-to-box midfielder, could easily have been picked ahead of Gerrard. David Beckham: My hero but just not quite as good as Ronaldo. Alan Shearer: Probably the unluckiest man of all not to make my first XI.